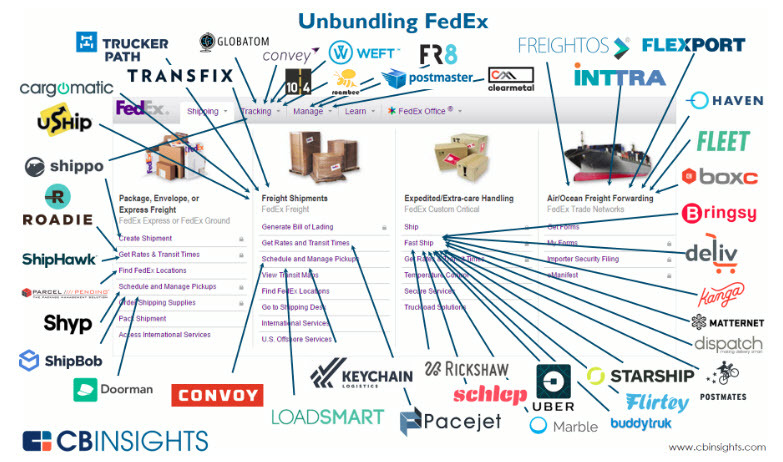 Sunday’s Business Insider had a great article on, Cargomatic, a company promising (as do many others) to be the “Uber for Truckers”. By that, Cargomatic means it will match shippers with goods to ship with truckers with excess capacity. On paper it is a great idea in a huge market: less than truckload (LTL) shipping. As with all B2B SaaS marketplaces, however, the challenge is not the total available market, it is solving the “chicken and the egg” adoption problem. (See here). Problems with Adoption: All marketplaces need density, thickness, or liquidity (pick your favorite term) to succeed. It looks as though Cargomatic expanded to NY before this density was sufficiently achieved in its core market. Tech-Enabled Service Versus SaaS Marketplace: The company pivoted to becoming more of a tech-enabled service, or brokerage, rather than a true SaaS marketplace. This issue recurs in many industries where end users are slow to adopt or transactions are very complex. (See here and here.) But, adding this layer of service adds costs and changes the nature of the business. “The industry is changing rapidly because of new technology but the adoption curve is slow. This is not an industry where you have a Snapchat, where you give the app access to your contacts and have 150 million active users. It’s B2B and adoption is lower,” Salgado said. The Business Insider article details intriguing personal drama involving founding versus “suit” CEOs, quota-driven salespeople, and competitive trash-talking (a la Silicon Valley). Look beyond the personalities. The bottom line for B2B SaaS Marketplaces is that the market is often big, and there is often a great profit to be made at a sustainable take rate–if you can get to critical mass. That’s the challenge, how to get there, not whether getting there is worth it! 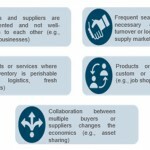 When reviewing a new B2B SaaS marketplace the real question is: What is the adoption strategy? How will density, liquidity, or thickness of the market be achieved? There are five to ten ways to try to achieve adoption. A B2B SaaS marketplace better have a clear hypothesis on which to use (and some plan Bs as well). Otherwise, they will be in for a long-haul (terrible pun intended). 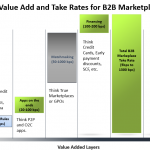 The "take rate" or what a B2B marketplace can charge their participants varies quite a bit depending on the services the marketplace offers.